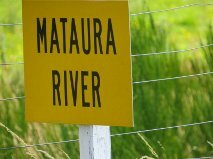 There is a brown trout in Gore, on Southland´s famous Mataura river, that must be fifteen feet long at the very least. Maybe more. I have often stood in awe beside it. If you don´t believe me you just need to look at the photo Harry sent me. I´m hardly going to make up something like that! “The most amazing feature here in the clear upper sections is how small and light one has to fish up here. All 18s or 20s on 6x fluroflex (3.5 lbs bs) and even then they will look carefully and maybe turn away. Some really beautiful trout …not only their size but their whole conformation and markings….some ugly ones as well of course. That sounds like a hell of a fish he caught. What a shame he didn´t have a camera. It would make a fine subject for a portrait!